Is a watch list costing your auction money? 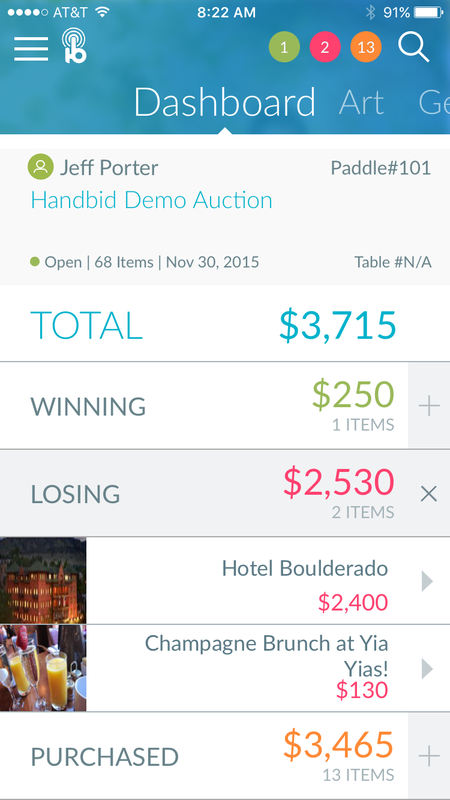 Many mobile solutions offer a feature called a “watch list” or “favorites” in an auction. A watch list (or favorites list) would allow people to mark items they were interested in and watch them in a list. Perhaps at some point, the guest would decide to place a bid on the item. We have been asked to add a “watch list” to Handbid but have resisted the request for a very specific reason: We believe that if a guest is “watching” they are not “bidding”. Some of these guests simply want to wait until the last minute to bid, which may work well for them (to minimize the bids placed on items), but it won’t work well for your auction. You need people to bid, so that their bid will outbid others and prompt a response. What you don’t want is a bunch of guests watching an item and waiting for someone else to bid on it first. At Handbid, our “watch list” is the user’s dashboard. We frequently tell people that if you want to track an item, place a bid on it and it will forever be on your dashboard (winning or losing) until you either buy it (win) or remove it (lose). Let us know your thoughts on the watch list. Is this something you still think is a feature Handbid should have?